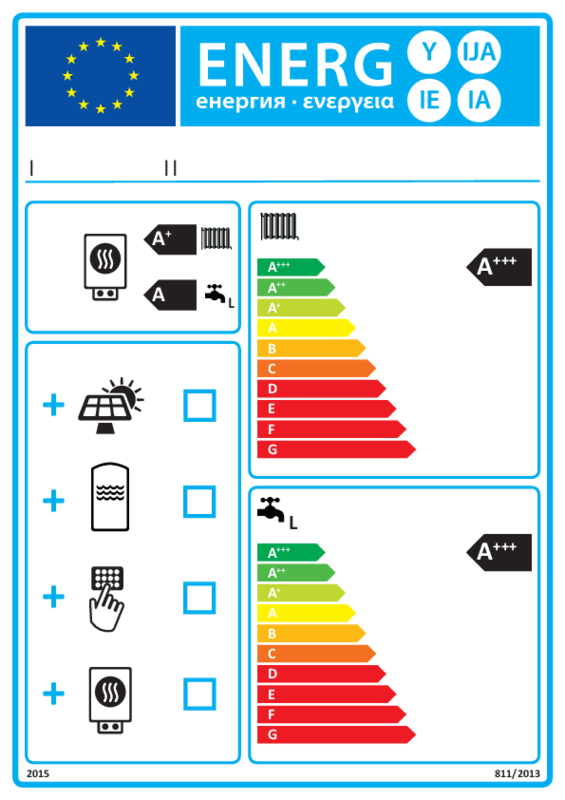 From 26 September 2015 onwards, nearly all newly installed heating and water systems have to be sold with energy labels in all European Union countries. 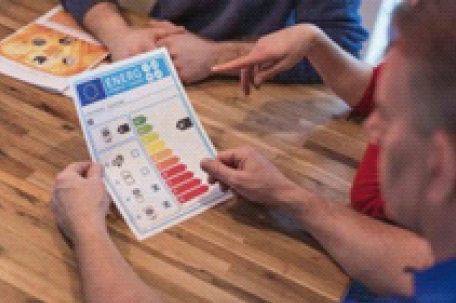 The energy labels aim is to provide additional information for the consumer to help him to make better choices with regards to an energy efficient heating solution. The well-known European Union energy labels, which have been used for electrical devices, cars and other products will have to be placed on most new heating products up to 70 kW heating capacity (or 50 kW electrical capacity for heat pumps) for space and water heaters. The customer will now be able to see and compare the energy efficiency before purchasing a new heating product or systems, via the combination of different heating products. This refers to the choice between oil or gas fired heaters, heat pumps, combined heat and power systems or a package including renewable energy sources like solar and heat pumps. The customer can choose between solutions ranging from energy inefficient G (red colour) and highly energy efficient A (dark green) solutions for water heaters and space heaters. Those systems including solar thermal energy or heat pumps can even yield A+++ category. Until 2017 heaters using biomass are exempt from the labelling obligation. Who has to issue the label? Usually, the label has to be provided at the point of, which means the seller or installer has to display the label when providing concrete product information including prices, advertisements or offers. Often the salesman can simply use the labels provided by the manufacturer, unless a package of technologies of different manufacturers in proposed. What is the purpose of a Package Label? If an installer or dealer assembles and proposes a combination of products to the consumer from different manufacturers, for example for the combination of a boiler with a controller, a solar collector, and a storage tank, he will calculate and issue the label for this package himself. For this tasks computer programmes are available to facilitate the process of calculation of the energy efficiency of any available package according to the formulas set by the European Commission. This way, highly efficient combinations, including renewable energies can be rated according to their low use of primary energy. What information do the energy labels provide? The label gives information on the energy efficiency of a certain heating product, a combination of space or water heaters or a package of products according to a representative consumption profile. The energy efficiency is rated for classes from G to A+++. The upgrade from one efficiency class to the next becomes more and more demanding. It pays attention to the fact that only combinations including renewable energies (solar and heat pump) are very energy efficient since they need less or only very little primary energy. What information is not provided by the labels? The labels do not provide any information regarding whether a given space or water heater appropriately fits to the building. It is calculated, based on several standard consumption profiles and does not reflect individual consumption. A comparison between heating sources is based only on energy efficiency criteria and only between categories. The labels only provide information on energy efficiency, not on economic issues. They cannot give any prediction or information, if the most energy efficient solution is also the least costly one in the long term. Since fuel costs (gas, oil, electricity) prices will be variable for the life-time of the system. It depends on the competence of the installer or seller to recommend the appropriate system to the customer. The end user should be aware of the correct presentation of the energy labelling and correspondent documentation. He should require the presentation of the energy label, being aware of the additional labels if a package is provided. The end user should ask the commercial actor responsible for the sale if the documentation is not available. In case of doubt the consumer can contact the consumer protection agencies and/or report to the market surveillance authorities in case of detecting non-compliance.